The NWS has issued a tornado watch for parts of Louisiana and Mississippi. 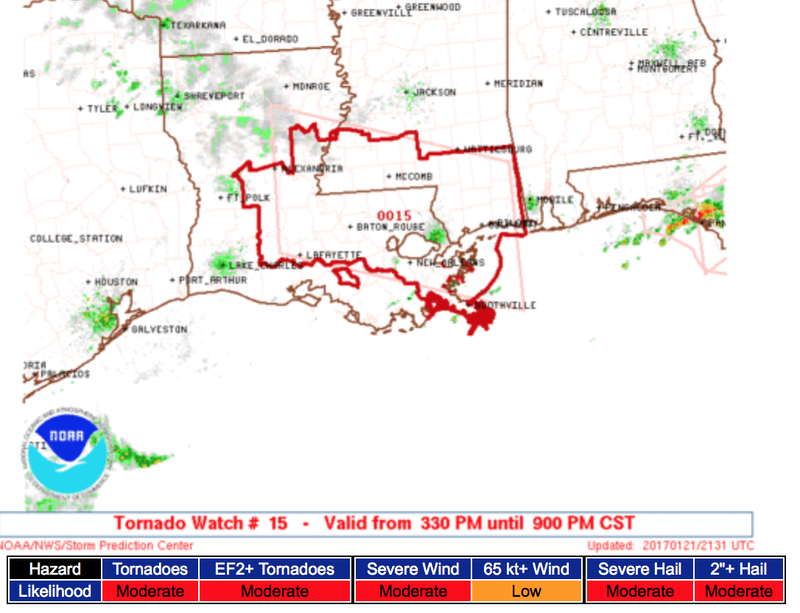 It includes New Orleans and Hattiesburg (which was hit by a fatal tornado at 4am this morning). This watch expires at 9pm. Please note there is a "moderate" chance of strong tornadoes.